Enjoy the relaxed feel of Selva di Fasano’s sheltered location, surrounded by the forest with stunning sea views. Dine at the local restaurants and cafes, or just a short drive will take you to the livelier towns of Fasano or Locorotondo. For lazy days on the beach, Savelletri is just a 20 minute drive away, renowned for its sandy beaches alternating with rocky shores. Selva di Fasano’s town has tree-lined avenues and a pleasant atmosphere where you’ll find the distinctive trulli houses, both in town and throughout the countryside. The main church is built in trullo style and is called the Trullo del Signore (the Trullo of the Lord). A local mini market and butcher can be found in Laureto, within 10 minutes’ drive. You will find a supermarket in Fasano, a 15 minute drive away, which also hosts a weekly market every Wednesday. Here you can discover ‘Zero Kilometre’ local products, including fresh vegetables, fruit and nuts, straight from the local farms and smallholdings. There are also plenty of other stalls selling clothes, shoes, and arts and crafts. Alternatively, other weekly markets take place on Fridays in Locorotondo and on Thursdays in Alberobello. Selva di Fasano offers several local restaurants and cafes serving traditional Italian food. There is a greater choice of restaurants in the towns of Fasano and Locorotondo, both 15 minutes’ drive away. Along the small port of Savelletri there are numerous restaurants that offer fresh fish caught by local boats and cooked according to the Puglian tradition. Alternatively, Alberobello, famous for its Trulli, offers several bars and restaurants. The nearest beaches can be found in and around the town of Savelletri, about a 20 minute drive away. The beaches vary from simple coves with limited or no facilities, to smart beach clubs that have sunbeds and restaurants. Savelletri is a maritime village with a crystal-clear sea, known for its characteristic fishing port where you can have a stroll and taste the seafood in the local restaurants. 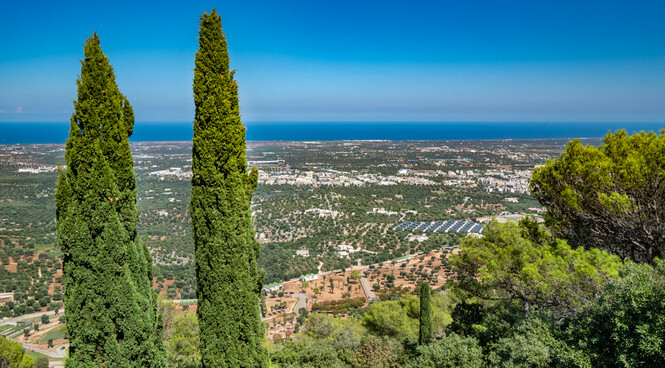 Alternatively, Lido Mustique or Lido Baia del Sole are also 20 minutes’ drive away, located a little bit further north near the Monopoli area. Zoo Safari, Europe's largest wild animal park, is located just outside of town. The drive-through zoo has wild and exotic animals in their natural habitat, with more than 200 different species living free in wide natural spaces. Fasanolandia, an amusement park located next to the zoo, has over 25 attractions to keep the whole family occupied. Located near Monopoli, a 20 minute drive away, Acquapark Egnazia offers a fabulous day out with plenty of rides and activities suitable for all ages. There is a botanical garden, the Parco Botanico di San Donato, in town where you can discover the charm of the indigenous Mediterranean fauna and flora. The famous hot springs of Torre Canne are just 11 miles away, where you can enjoy a relaxing spa treatment, or relax on the long sandy beach. Half an hour away you will find the Grotte di Castellana, an intricate system of caves which you can discover with a guide. The interesting towns of Locorotondo, Cisternino, Ostuni and Martina Franca are all only a short drive away. Locorotondo is officially one of the most beautiful villages in Italy, with a whitewashed maze of little lanes lined with historic buildings. Further afield, the city of Lecce is about 60 minutes away, with plenty of Baroque churches, roman remains, museums and restaurants to explore plus a large Sunday market.